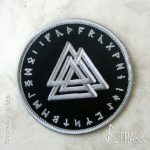 3.5″ diameter patch. 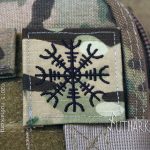 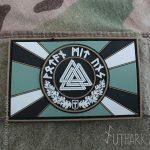 Attach it to Molle gear or plate carrier as a morale patch. 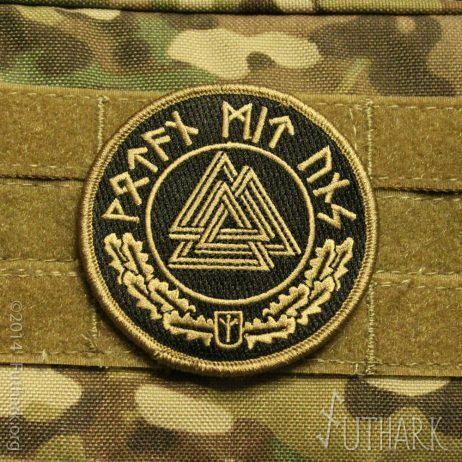 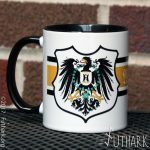 3-dimensional Valknut design and the slogan “Wotan Mit Uns” ( Odin with us ) in Runes with oak leaves and a Life rune shield.